Provide comfort for the family of Robert Baker with a meaningful gesture of sympathy. 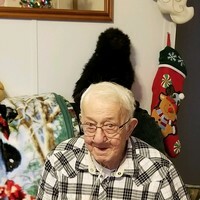 Franklin, NJ: Robert Ray Baker, 88 years old, died after a lengthy illness at his home on Sunday, December 2, 2018. Born to Ray Richard and Ethel Marie Baker in Milton, PA, he had lived in Lake Stockholm, NJ, Oak Ridge, NJ and Milton, PA before moving back to Franklin, NJ in June, 2017. Robert served with the United States Army during the Korean War, where he spent some service time in Greenland. Upon being discharged, he worked as a mechanic for Ford Motor Company in Mahwah, NJ for 29 years retiring in 1980. 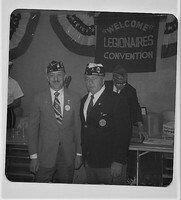 He was a member of the William J. Hocking American Legion Post # 91 in Wharton, NJ and a life member of the Veterans of Foreign Wars. Robert was an avid Mets, Giants and Jets fan as well as following NASCAR. He enjoyed reading history and doing puzzle books. Robert is predeceased by his first wife, Joyce Barbara Baker(1985) and his second wife, Elizabeth Gertrude Baker(1999) and 6 brothers and a sister and is the devoted father of John Baker and his wife, Jannette of Franklin, NJ, Barbara Baker of Franklin, NJ, Daniel Baker and his wife, Anita of Middle Village, NY, Kenneth Baker of Stockholm, NJ, Susan Baker of Sparta, NJ and Russell Baker of Hawley, PA. Cherished by 14 grandchildren and 19 great grandchildren. Dear brother of Mary Nephew of Lewisburg, PA. The family will receive their friends at F. John Ramsey Funeral Home, One Main Street, Franklin, NJ on Thursday, December 6, 2018 from 2-4 & 7-9 PM. Funeral service at the funeral home on Friday, December 7, 2018 at 11:00 AM. Interment to follow at St. Thomas the Apostle Cemetery, Jefferson Twp., NJ. In lieu of flowers memorial donations may be made to the American Cancer Society, 7 Ridgedale Avenue, Cedar Knolls, NJ 07927 or Karen Ann Quinlan Hospice, 99 Sparta Avenue, Newton, NJ 07860 would be appreciated. Dear Susan, I am so sorry for your loss. May you and your family find peace in the happy memories your father shared with you. You are in my thoughts! Hugs! Susan, My friend, I am so sorry for the loss of your dad. May God give you the strength during this difficult time. Just remember, your dad will always be watching over you. My prayers and love.